HTC seems to be on a smartphone launching roll in Europe, outing yet another One M9 dubbed the Prime Camera Edition of the phone in Poland. The new handset looks very similar to last year’s flagship, with all major changes taking place under the hood. As can be guessed by its name, the HTC One M9 Prime Camera Edition now offers enhanced photography skills in the form of optical image stabilization for its 13MP rear snapper. Its predecessor had notably sported a 20MP primary camera. There are a number of other downgrades all around. For instance, HTC has halved its storage room to 16GB and reduced it RAM memory to 2GB. The previous variant’s Snapdragon processor has further been replaced with a 2.2GHz octa-core MediaTek Helio X10 SoC. All in all, the new phone’s specs more closely resemble the recently announced mid-range One S9. As for its price, the all-metal One M9 Prime Camera Edition retails for PLN 1 (roughly $0.26) when bundled with a minimum PLN 99.99 (approx $25.87) contract per month. It’s clearly looking to appeal to cost-conscious consumers with the device, though it hasn’t exactly showered it with remarkable features. 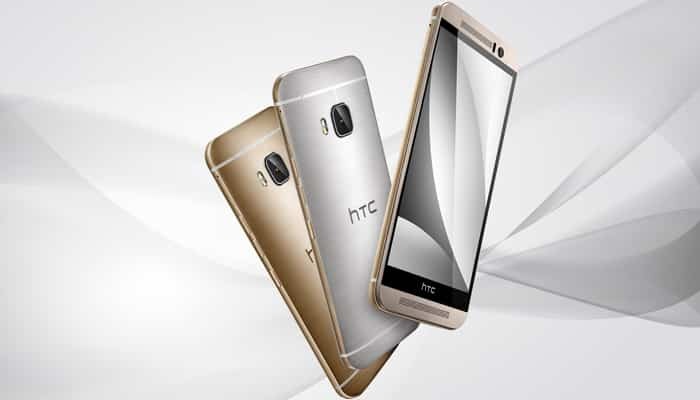 The HTC One M9 Prime Camera Edition will probably make the trip to other markets soon. We’ll keep you updated as and when it does.